China’s ability to exercise its power in the maritime domain is essential to advancing its economic interests and ensuring its security. Attention to safeguarding maritime rights and interests was documented in China’s 2012 National Defense white paper, and the 2015 Chinese Military Strategy white paper has expanded the People’s Liberation Army Navy (PLAN) area of operations from offshore defense to include open seas protection. As the PLAN moves into the open ocean, the responsibility for offshore defense and protection of China’s interests in its near seas will fall to the China Coast Guard (CCG). Changes in the organizational and operational mandates of the CCG are paving the way for it to become a more important actor in the achievement of the PLA’s traditional and non-traditional security objectives. From the founding of the PRC in 1949 until the mid-1980s, China’s strategic concept of naval operations was limited to coastal defense (the inherent mission of any coast guard), with an emphasis on defending China’s coast from amphibious invasion. As the PLAN shifts away from patrolling the near seas and expands its area of operations, the CCG will need to meet demands to operate well off China’s coast. Many in the U.S. view the CCG’s activities in the East and South China Seas as a product of a coordinated national strategy. The goal is quiet expansion — as opposed to a loud invasion and occupation by the PLA. Evidence of a strategy can be traced to possible visions guiding procurement decisions made years in advance, such as the State Council’s approval of plans to purchase dozens of rights protection cutters in 2010. Protecting China’s expanding coastlines, as well as fishermen and maritime companies, requires the CCG to conduct operations further from their home ports and for longer periods of time. 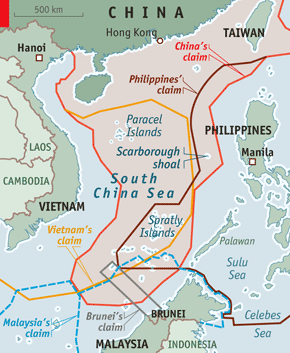 For example, a 2012 standoff between China Maritime Surveillance (former CCG) vessels and the Philippines Coast Guard at the disputed Scarborough Shoal lasted for ten weeks, and since then the CCG has maintained a continuous presence there to preempt a recurrence of that event. This could put the CCG in an uncomfortable and unsustainable operating scheme unless it procures large ships, recruits enough officers for numerous and simultaneous rotations at sea, and coordinates communications and collaboration across 3 million square km of blue territory. In 2013, China consolidated its maritime law enforcement (MLE) agencies to better protect China’s sovereignty and safeguard its maritime interests. 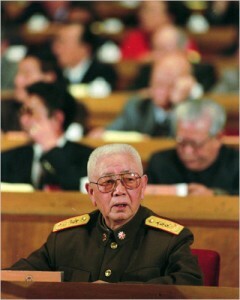 During the March 2013 National People’s Congress, the Chinese government announced a new State Oceanic Administration (SOA) that would essentially form a “fist out of fingers” by combining the organizations and the responsibilities of the existing SOA and four MLE agencies into the China Coast Guard (CCG), which maintained a purely civilian status. The consolidation allows the CCG to more flexibly deploy patrol ships from its larger fleet in response to sovereignty challenges and maintain its presence in hotspots. Additionally, during the last decade, China’s MLE forces have increased both the sizes of their ships and overall capability. As of March 2015, China had 95 large patrol ships (over 1,000 tons) and 100 patrol combatants between (500-1,000 tons). The current phase of the construction program, which began in 2012, will add over 30 large patrol ships and over 20 patrol combatants to the force by the end of 2015. This will increase the overall CCG force level by 25 percent — faster growth than any other coast guard in the world. Map of territorial disputes in South China Sea. Although the CCG has taken an increased role in asserting China’s maritime sovereignty over disputed areas, PLAN vessels still share the responsibility for patrols in China’s territorial waters, contiguous zones, and exclusive economic zone (EEZ). The PLAN’s close relationship with the CCG certainly helps deter counter actions by other claimants. When the CCG responds to an incident, the PLAN will likely also deploy destroyers and frigates several dozen miles behind to provide an indirect, over-the-horizon presence. This approach intimidates smaller claimants and contains larger ones, but also limits the potential for confrontations to escalate since most CCG ships are not heavily armed (though some are refitted navy vessels with permanent torpedo tubs and gun turrets that add a factor of intimidation to the CCG’s presence). Given the recurrence of confrontations, China is wise in not using armed ships, but arguably, deploying the CCG allows China to be more aggressive against foreign civilian ships than it could be with the PLAN. Instead, while CCG activities assume a militarized connotation, PLAN ships make friendly port calls to China’s neighbors. 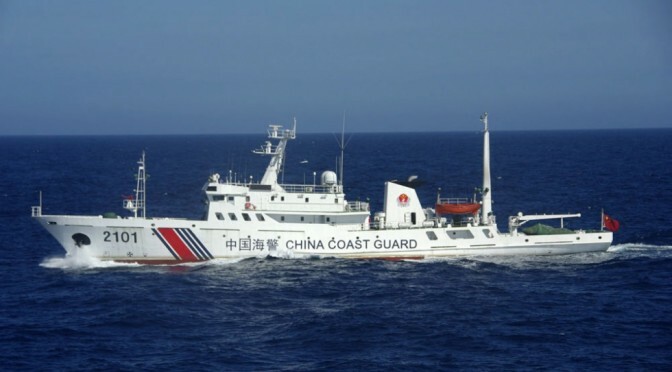 China’s controversial use of the CCG to assert its sovereignty in maritime disputes and expand China’s presence in disputed areas gives it the unique privilege of being the world’s only maritime law enforcement (MLE) agency to regularly make international headlines for activities other than botching rescue missions. The CCG’s press coverage, however, has been overwhelmingly negative for causing conflagrations with China’s neighbors, and the fallout of its activities has reinforced China’s need for its sustained presence. China must reconcile that the CCG’s activities to advance its interests in the South China Sea have inspired Southeast Asian nations to strengthen their own MLE organizations. The Philippines, Vietnam, and Indonesia have already turned to the U.S. and Japan for help increasing their capacity. China’s use of the CCG has created a conundrum for the U.S. Navy, but it does not want to risk a conflict by using the 7th Fleet to check China’s white hull advance. Meanwhile, the U.S. Coast Guard (USCG) does not have a dedicated presence in the area (its closest port is at Guam), and funding troubles have already stretched its capacity for traditional missions. Even though the USCG has 42,190 active duty service members compared to the new CCG’s 16,296 billets, the USCG is not concentrated in a single region. It has a global mission ranging from the Arctic to NATO countries to the Pacific. Thus, the USCG, like other branches of the U.S. military, has placed emphasis on utilizing and building the capacity of its partners in the region – an asset the U.S. has more of than China (the new military strategy only named Russia as a partner). The growing possibility of clashes at sea is troubling. If the CCG is able to easily coerce smaller actors in China’s various maritime disputes, especially in the South China Sea, and institute a new status quo to safeguard China’s interests, this would have serious implications for freedom of sea navigation and safety of passage, as well regional stability and peace. If the U.S. and its partners believe this is the goal of a comprehensive strategy, building more capable maritime law enforcement and coast guard organizations in Southeast Asia could deter Beijing from maritime expansion. However, China’s approach to its maritime interests goes beyond the CCG’s veiled offensive, or active defense, maneuvers. China’s hybrid strategy also involves legal, economic, high-tech, and cyber elements that are less likely to provoke a large-scale war and do not fit neatly into challenges addressed by traditional military strategies. Adequately addressing the role of CCG as an increasingly capable civilian implementer of China’s foreign policy and unique tool in China’s military missions will require the U.S. and its partners to consider new, comprehensive policy options in the Asia-Pacific. Amanda Conklin was a Fulbright in Macau from 2012-13 and is currently working on Asia policy issues in the field of international affairs. The views presented in this article are her own.